You will have plenty of choice when looking for a suitable property. 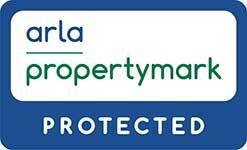 A complete property management service to suit your needs. ...I am very happy to mention that your service has been unmatched by any other agent whom I've used in the past 10 years. Excellent, professional service. Everyone so kind and helpful. Would definitely recommend. Excellent customer service, couldn't wish for better service. I have dealt with numerous letting agents both as a landlord and a tenant, CGT Lettings I have to say is superior. As a landlord, I have been a customer of CGT since 2002. I have already recommended CGT to a number of other landlords and would not hesitate to do so again. Administration fees apply to all named persons on the tenancy agreement aged 18 and over.